No words needed w/ that painting. Wow! Indeed. Paintings (and music) often “say” far more than words. Wow, perfect painting for today’s topic. I unfortunately agree with you. 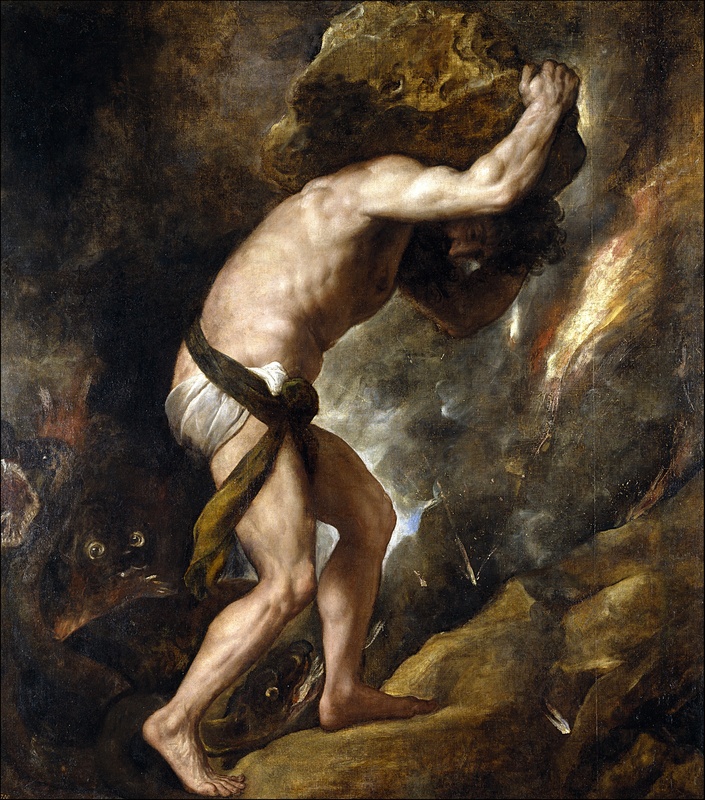 The rock’s weight may vary, but we are all stuck carry this rock up a hill. A fitting representation of diabetes (or any other chronic condition) even if his background (i.e., why he was punished to push that boulder up the hill for all of eternity) was not inspiring at all.